The words “Instagram” and “travel” tend to conjure ideas of people who backpack the urban terrain of Paris or Tokyo, sharing photos as they go. These users eventually become the “who’s who” of the social network, and their pictured cities and landmarks become even more desirable travel destinations. But these glamorous locations aren’t the only places with premium Instagram potential. Many U.S. cities have gems to reveal to the dedicated explorer. 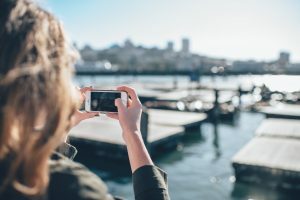 Plus, some of the most Instagrammed areas have limited connectivity or are so congested with foot and Internet traffic that you’ll be hard-pressed to publish photographs in real time. Because of that, it may be time to revise the list of best cities to Instagram in and include the eight that follow below. Each city on this list features reliable public Wi-Fi, often paired with a strong tech presence and connected culture. Atlanta may not be the first city that comes to mind when you think of tech or travel, but it’s a prime location for both. The city is a veritable tech hub, as evidenced by the area’s public Wi-Fi initiative. City officials paid close attention to parks and neighborhoods with limited network infrastructure when planning the public Wi-Fi layout, partially to support underserved communities. Its other aim was to increase interest in and publicity for local attractions like the Atlanta zoo — one of four U.S. locations housing giant pandas — and the Atlanta Jazz Festival, both of which provide plenty of photo opportunities for traveling Instagrammers. The Baltimore/D.C. metropolitan area is a great location to visit if you’re a history or architecture buff. It’s also home to the sprawling Smithsonian complex and zoo, which make for great Instagramming. Plus, you can share as many photos as you want thanks to the several public Wi-Fi efforts in play, including a network specific to the National Mall. Baltimore also has extended its public Wi-Fi offering through the Inner Harbor. Here, you’ll never have to worry about connectivity and data — unless, of course, you get on the Metro. Boston is another city steeped in history. It’s also a great place to capture photos, thanks to its “Wicked Free Wi-Fi.” The largest concentration of hotspots is found in the Grove Hall neighborhood, a favorite among residents, businesses, and tourists. The city intends to continue growing the Wi-Fi network in support of economic development, while expanding other tech-centric projects, including the relatively new Innovation District. These efforts aim to improve the lives of everyone, from local residents to tourists visiting the beautiful Kelleher Rose Gardens. Austin tends to get all the attention when it comes to technology and travel, but Houston is a great place to visit, too. Its downtown teems with activity, and you can capture it all via the various community Wi-Fi access points around the city. If you can get tickets, posting real-time pictures from the game is sure to earn you some love from followers across the country. One word: Google. The company’s free Wi-Fi service and Fiber infrastructure make Kansas City a hive of hyper-connectivity. Here, you’ll seldom have to worry about latency or access to public Wi-Fi. In terms of photography, the University of Kansas is the most geotagged location on Instagram for the state. You may see a lot of agriculture — i.e., plenty of cornfields and cows — but there are many urban photo opportunities as well. The recent Boulevardia festival, for instance, was teeming with life and color, just waiting to be captured. Los Angeles is one of the more Instagrammed cities in the U.S., boasting attractions like Universal Studios and Dodger Stadium. And, because Wi-Fi is more or less omnipresent across the city, snapping and sharing pictures is easy and fun. L.A. is also taking additional steps to build out its offerings. Its CityLinkLA proposal, which aims to ensure Internet access for everyone in the city, was unanimously approved last summer. Dropped calls and aborted uploads to Instagram from this bustling city may soon be things of the past. Sacramento is another fun city to visit, particularly if want to go back in time to the Gold Rush era. Free, easy-access Wi-Fi can sometimes be spotty, but the city has a history of expanding Internet access in alignment with its digital goals, so that reliability may change in the near future. One of the best aspects of Sacramento Wi-Fi is the network availability on public transportation. If you want to travel in style aboard the city’s Amtrak trains, you should — the lines have wireless Internet. Seattle is one of the better-known tech and travel cities on this list, with Microsoft and the Space Needle located in the area. Though current Wi-Fi offerings are somewhat limited to lendable Wi-Fi spots from the Seattle Public Library, if you time your trip right, you shouldn’t experience too many issues, as Google’s free Wi-Fi service is coming to the city. With it, you’ll be able to capture and share photos of the local greenery and slew of coffee shops, as well as easily stream all your favorite shows. While the eight locations listed above may not make all the usual travel guide lists, that doesn’t mean they’re unenviable spots. Rather, you should view them as opportunities. Share what’s best about them with your public Wi-Fi connection, and make them known as the best tech-friendly travel destinations.